put everything into a container and blend well with high power blender. pour the mixture into ice cream maker. leave the ice cream in a freezer for a couple of hours. 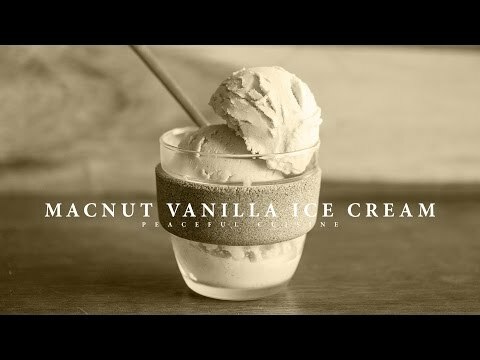 * if you have time and want smoother and creamy ice cream, here's another advanced recipe for you as macadamia nuts has rougher texture than cashews. add maple syrup and vanilla. pour the mixture into an ice cream maker. leave it in a freezer for a couple of hours. It's always so much fun to make ice cream at home ;) Enjoy!